Liverpool supporters are in my opinion, without doubt, the best in the world. The Kop is famous, we are regarded as the teams twelfth man, we are famous for our flags and banners, our anthem is also known all over the world it can still make the hairs stand up on the back of your neck. Players still want to play in front of the Kop, people who grew up on the other side of the world still have heard of the Kop and our support and want to play at Anfield. I am proud that we are classed as witty, loyal and passionate and that on occasion the atmosphere inside Anfield can totally destroy our opponents and lift Liverpool to unexpected victories and performances. I am proud that we have never forgotten the 96, and never will, we have never backed down in the face of tremendous adversity and pressure in the search for justice. I am proud that we stood up to Hicks and Gillette and with the help of the courts chased them out of our club. Despite all of the above I'm sometimes disappointed in our supporters, sometimes, when things aren't going well on the pitch we are quiet, occasionally we forget that our primary role is to support the team, when things aren't going well, that's when they need us most. Songs about Munich are not acceptable just as songs about Hillsborough are not acceptable. Rivalry is healthy and part of supporting a club hatred isn't. When players are struggling with form or simply aren't good enough we need to remember that most importantly they are Liverpool players, they are representing us, they are doing their best, nobody takes to the field with the intention of messing up, everybody wants to do well, we should be helping, we should be supporting. We have the right to criticise, it's our club, but we shouldn't be destroying the confidence of our own players. I have heard and seen on social media Liverpool supporters insulting our own players, actually wishing for and celebrating when our players get injured, actually sending our players insulting messages all of this is not acceptable and can't possibly help, why would players want to play for people who insult them and their families, so please lift our players not put them down. The manager, coaches and players themselves know when things are not going well and, trust me, are working hard to make things better, very few of us know as much as the manager or coaches, despite our success on football manager, so let them get on with doing what they do best and concentrate on what we do best, the very best in the world, and support the team. 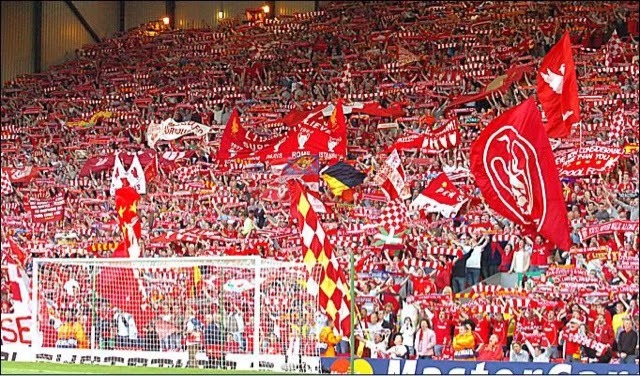 I believe Liverpool supporters are among the most knowledgeable in the world and should let their opinions be known, we should criticise, we should be vocal, we should be passionate, we should be loud, we should be funny, we should celebrate, we should sing and we should shout and let everybody know that, we are Liverpool, the greatest supporters in the world.